International Coffee Day is on 1st October every year and this time I’m celebrating it in Ireland. So, raise your cappuccino, espresso, flat white or latte and say cheers to International Coffee Day! 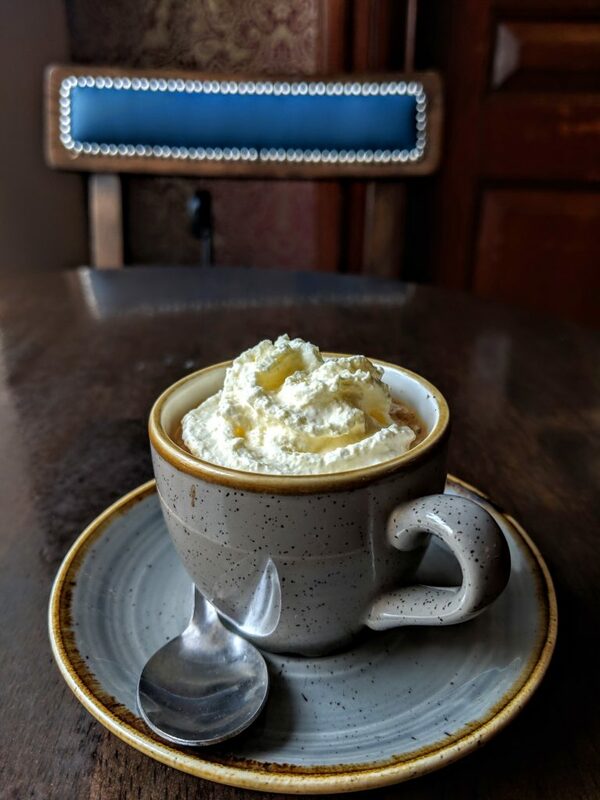 I had an espresso con panna (espresso with cream) at Esquires, which was excellent. This was a bit of an indulgence for me, especially as I don’t even add sugar to my coffee, most of the time. I needed a pick-me-up on a grey Sunday and Esquires totally delivered. This place is a must-go for the décor, as the building itself is stunning. I really want to get all their furniture and take it home. Those blue chairs must be mine! Anyway, I digress. Good quality coffee, great central location and a nice atmosphere. Outside seating is available for a spot of people-watching. Drogheda can metaphorically drink Dublin under the table when it comes to cafes, and the Bare Food Cafe has a lot going for it. First of all, it has outside seating, which is fabulous. The cafe is in a mews so it’s off the main road and very quiet. Then, the inside has a stunning décor, which combines warmth and modernity. Service is very friendly and efficient. My flat white was super strong, which is exactly what I needed. 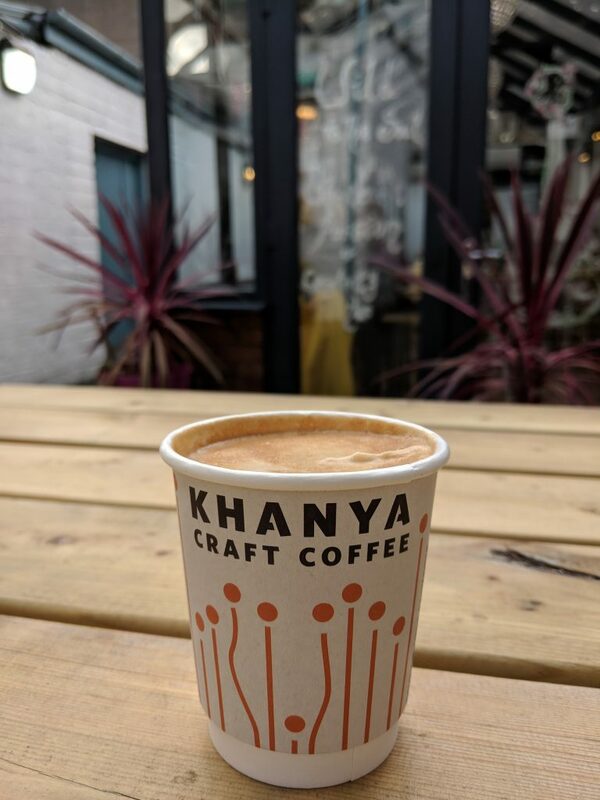 The cafe serves Khanya Craft Coffee, 100% Arabica coffee from Irish master roasters based in Dublin. This place is completely off the beaten track and basically you need to be in the area to make the trip worthwhile. If you happen to be around Dundalk and drive a car, make a detour to Knockbridge and head over to the Stephenstown Pond nature reserve. 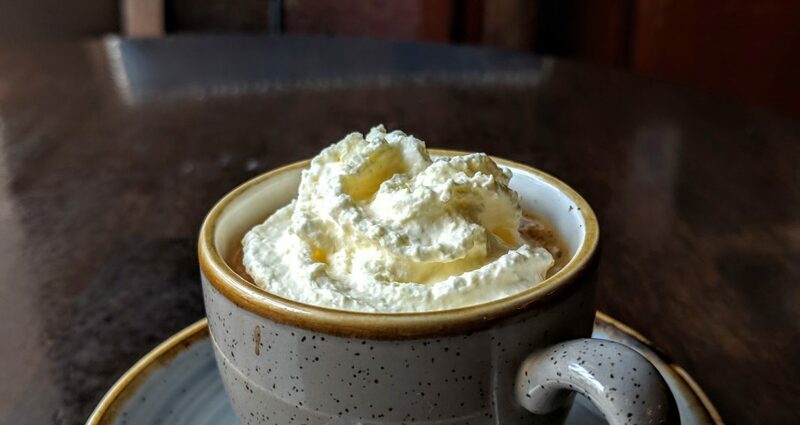 After an invigorating walk, have a coffee break at the Dairy Maid Cafe near the pond. They serve excellent freshly baked scones and the coffee is very good. Sip your drink while looking over the green landscape – it’s a balm for the soul. As you can see, Dublin does not have the monopoly on coffee spots. While I normally try to stick to independent cafes, I wanted to give Bakehouse a go, as I was in Customs House Quay and it was convenient. First of all, this is a great place for people-watching, as you have Dogpatch Labs, the co-working space for start-ups, just opposite, and then all the office workers rushing in and out during their lunch break. The best time to go is either mid-morning after all the people getting before work have gone, and then mid-afternoon after lunch. You can then enjoy some nice chilled-out music and have your cup of coffee in peace. I had a flat white, which was good and strong, that came with a mini chocolate cupcake. Views over North Bull Island nature reserve and good coffee from Roasted Brown: what more could you ask for? 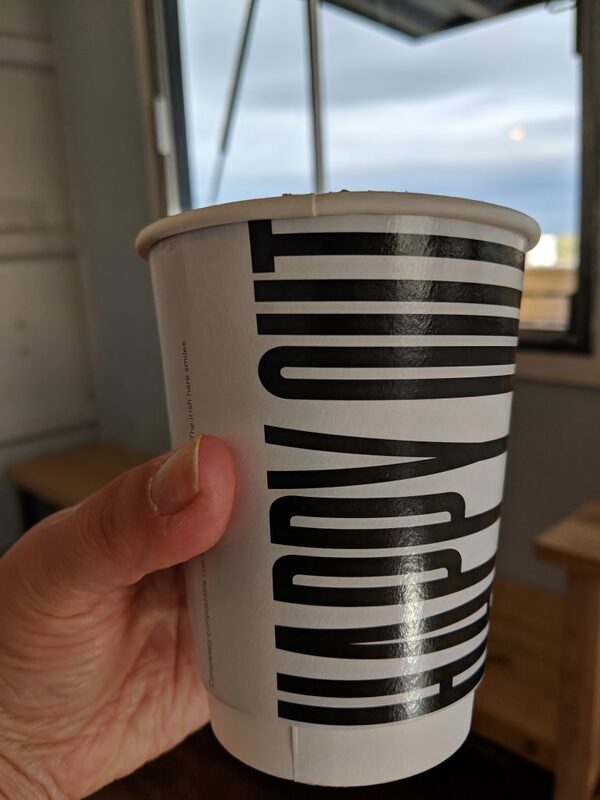 While the Happy Out Cafe is small and cozy with no table service (you pick up your order from the counter when the plastic coaster you are given starts buzzing), the views and the coffee are worth a visit. Coffee is from Roasted Brown, Wicklow-based master roasters. I also had a chocolate brownie, which was delicious, and, looking at the cafe’s Instagram feed, toasties are extremely popular. 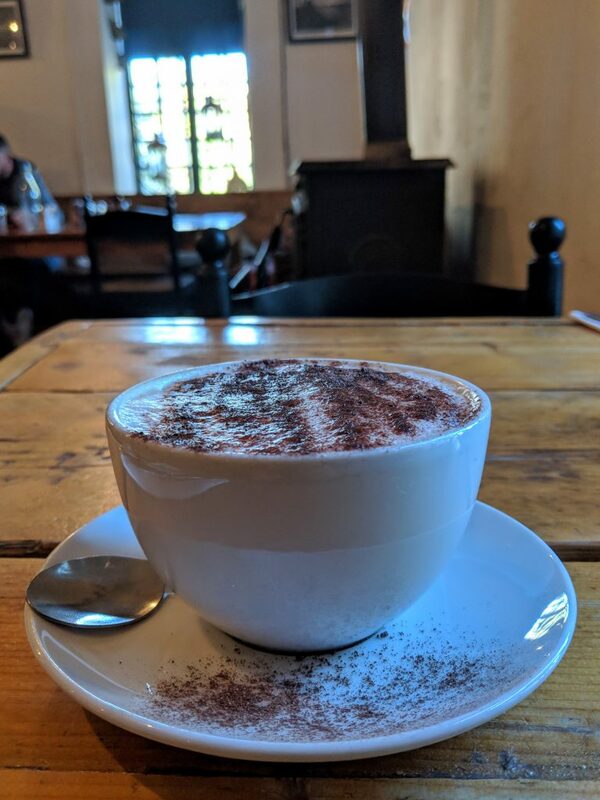 This was a personal recommendation I got so I went and did the guided tour at Wicklow Gaol first then had a cappuccino break in their cafe. The cafe itself is welcoming and staff are friendly. The cappuccino was good and I am told their food is nice, too. 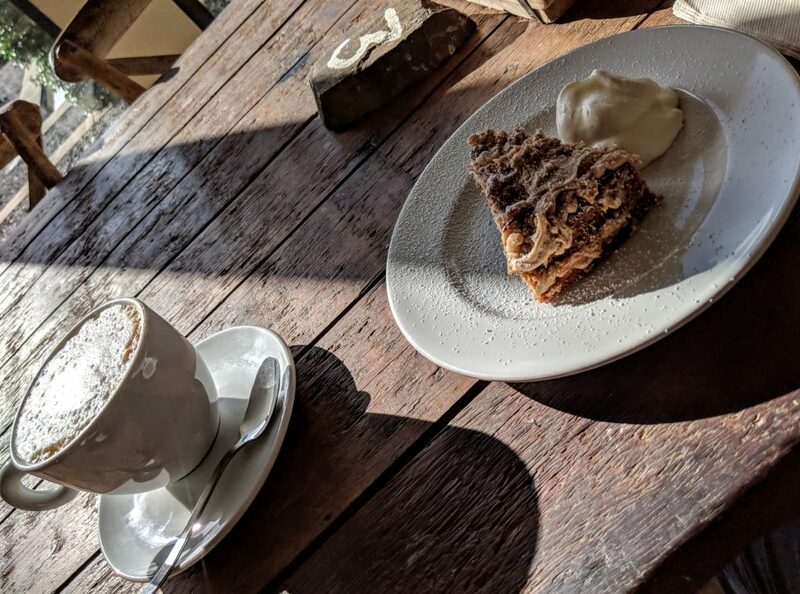 I have talked about The Green Barn before (see article) and I wanted to include it in this list because these guys know how to do coffee and cake. Not only is their coffee very instagrammable, but it also tastes great. 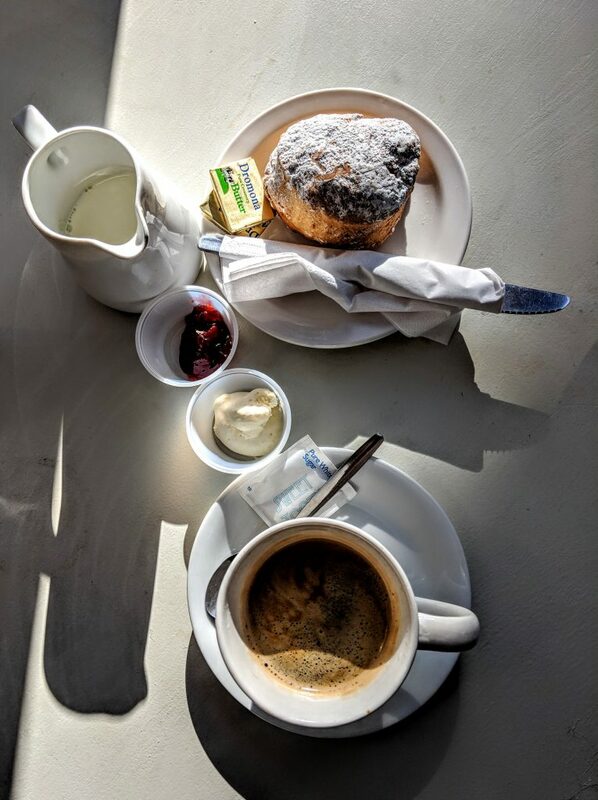 They have a good selection of scones and cakes, and you can’t beat the views as the cafe/restaurant overlooks the vegetable garden. Athy may not be a tourist destination as such and you may make a trip especially for the food at the restaurant, but it’s worth it.